The picture is not included. Replace it easily with your own via Smart Object and get the same effects. 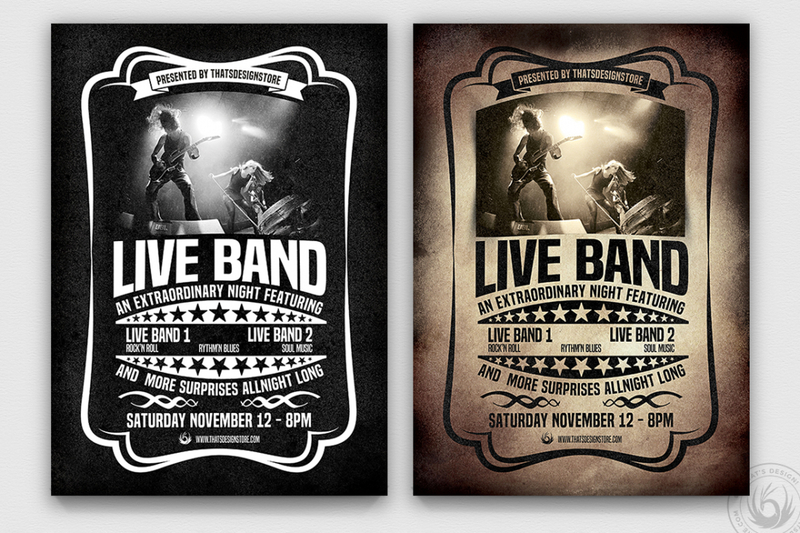 Check out this Live Concert Flyer Poster Template PSD designed to promote an Indie Rock Band, Concert, Alternative, Pop, Urban music band event. 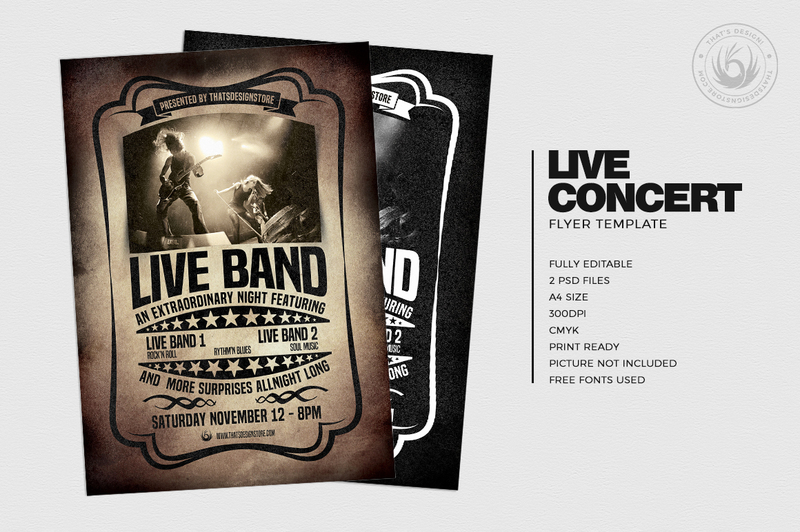 Customize your concert flyer template easily.